Can you believe it's already December? This first semester has absolutely flown by, and the arrival of the new month has left me with only two things on my mind: Christmas and finals. Tonight was Georgetown's annual tree-lighting ceremony, complete with classic carols, hot chocolate, and a visit from Santa. And though it really felt like the official beginning of the Christmas season, I can't entirely get in the spirit until the last of my final exams are over. 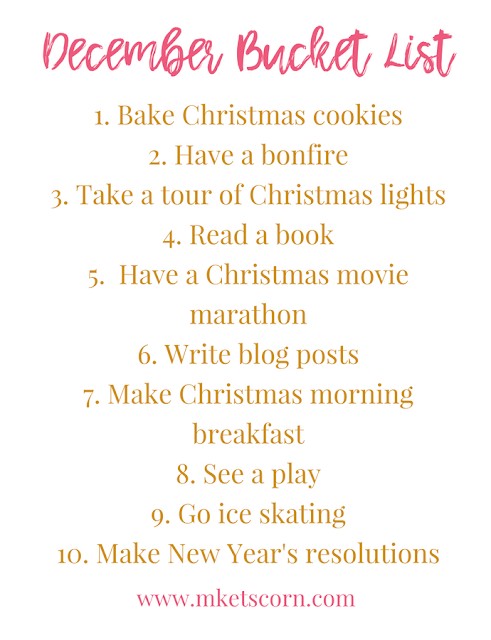 Until then, I've come up with a bucket list to keep myself motivated by all the fun to be had over Christmas break. 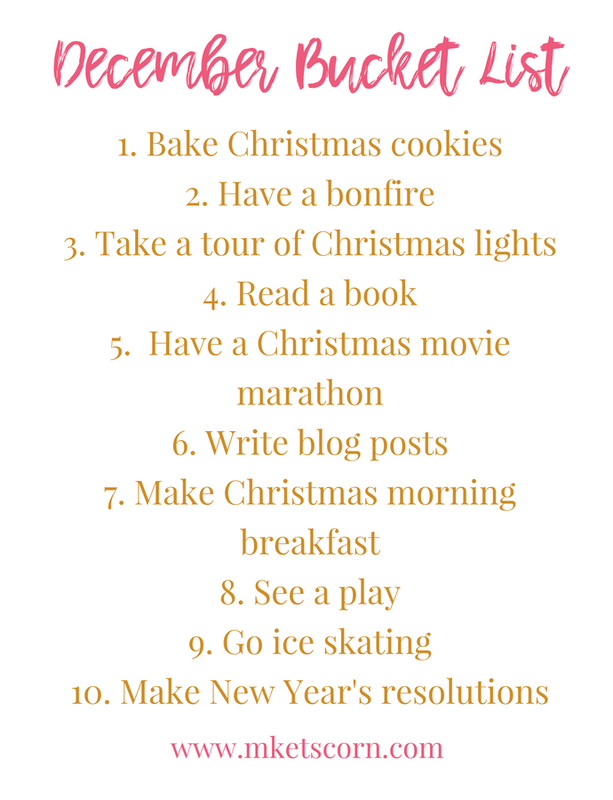 What are your Christmas break plans?